Architect. Implement. Integrate. Operate. Analyze. Innovative Development’s expert consultants work across all phases of Big Data projects, from inception through to deriving business benefits and measurable Return On Investment. We undertake complete projects together with the project management, third party provider management and service level agreement negotiations. We are also happy to assist on specific parts of projects at any stage. Big Data covers many different software and hardware components, the components chosen and the way these are put together is critical to the success of a project. Equally important is knowing what issue the business is looking to address with the solution. Different requirements shape the solution in different ways. For example, analyzing Web and Social Media data will have a different profile to a solution exploring machine generated or biometric data. Innovative Development understands the fundamental link between these two points and helps companies design a solution and a path to take them there. With huge volumes of data from potentially hundreds or thousands of data sources, integrating the flow of this data smoothly and reliably and with minimal human interference is essential. Whether from websites; server logs, transactional databases; manufacturing plant monitoring or a multitude of other sources, Innovative Development can assist in automating the workflow and transformation processes to move the data into the Big Data environment and make it available for analysis. Using our knowledge of Information Technology Infrastructure Library (ITIL), and Information Technology Service Management (ITSM) methodologies and experience in hands-on systems operation, maintenance, monitoring and optimization we can write the book, literally. Innovative Development will deliver the processes and procedures in a “Playbook” needed to manage your Big Data environment. Tracking user buying trends; monitoring for fraud; identifying security breaches; predicting machine failures or assessing treatment plans in healthcare – Innovative Development helps extract information from Big Data. We know the analysis tools and how to use them to deliver a return on your investment. From Knowledge Exploration on a sandbox through to repeatable, automated reporting we help companies find the needle in the haystack to help give them a competitive edge in the marketplace. 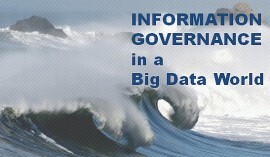 Contact Innovative Development TODAY to discuss your Big Data requirements.